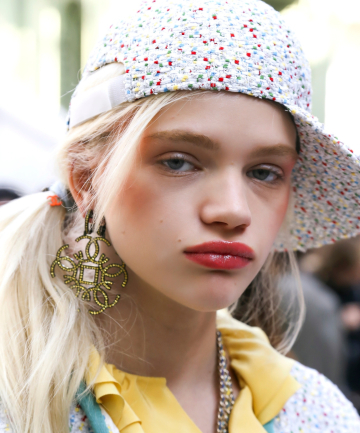 It's not just Chanel's covet-worthy handbags and chic threads that make women feel fabulous — readers say Chanel makeup makes them feel just as glamorous. Whether it be a creamy red lipstick that channels their inner Coco, or a charming Chanel compact that makes midday touch-ups a breeze, users say their favorite Chanel makeup is worth the extra dime. While we'd love to have an all-Chanel beauty collection, our wallet doesn't always agree. So what are the standout products that are worth the extra investment? We asked our discerning Total Beauty readers to weigh in on the products that earn the title of best Chanel makeup. Here, their unabashed product reviews will help you decide which Chanel beauty products to buy first. It's hard to find a bad Chanel product. I love, love, love Chanel No. 5! Disagree in the sublimage cream , the key is to appy a little bit , is already super concentrated, if you apply to much it will break you out! the worst product of chanel was the most expensive one! This was weird...there was only one worst? And two of the perfumes came up twice on the best list. And as other point out, what about the lipstick? The nail color?? their best which is their nail lacquer doesn't make it on the list?? ?